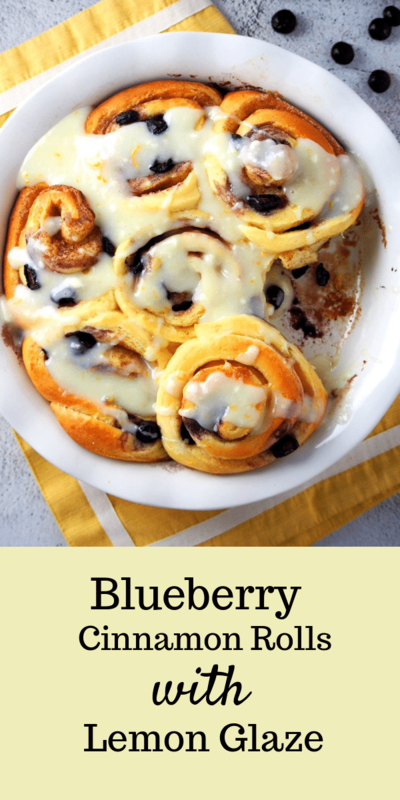 Bright, fresh and warm all at the same time, these Blueberry Cinnamon Rolls pack amazing flavor that will delight your taste buds. These are sweet and citrus-y and totally delicious. While you see me promoting all chocolate stuff on my Instagram and Facebook page, I am not really one to plan big during Valentine’s day. Even my baking editorial is not outlined, see. I should have something artsy and chocolaty for you this week of Valentine’s. 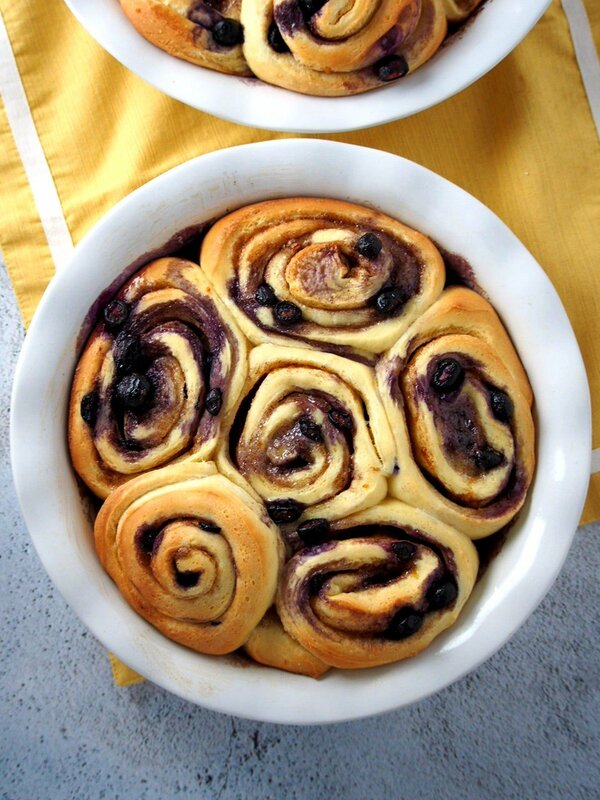 Instead, I have this Blueberry Cinnamon rolls. But then again that is pretty much how we are. Usually, our Valentine’s are spontaneous and last minute, but mostly, they are nothing at all. They blend in just like the ordinary days and I am fine about it. I mean flowers and chocolates are cute, but if they don’t come, NBD. Oh, and can you still remember this Valentine’s day story about the burger steak? That was one funny, spontaneous Valentine. Last night, I told my husband that we will just order in our favorite fried chicken, and I will probably get one chocolate cake roll from the Asian grocery that sells Goldilocks. Our Valentines are becoming more and more like a kids birthday party, I think. 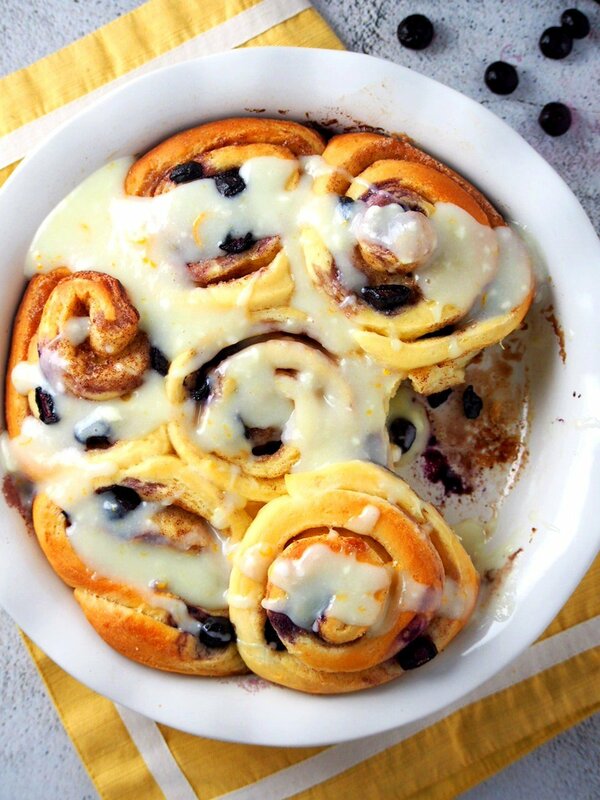 Now on to this Blueberry Cinnamon rolls, not so Valentine-y I know. But I can assure you, it will bring you smile and deliciousness any day of the year. 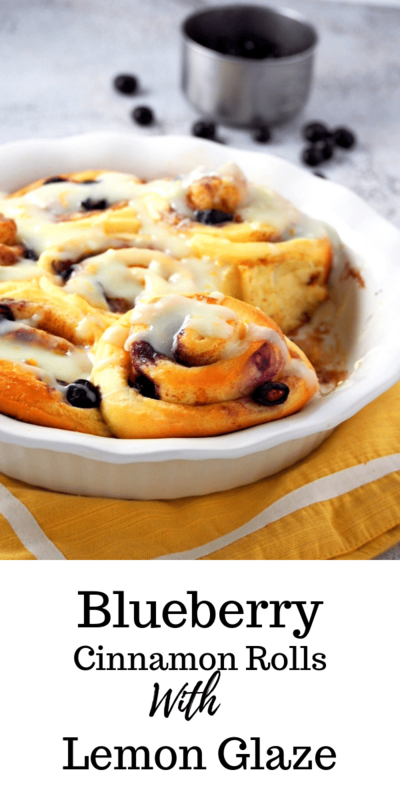 They are sweet a bit citrus-y and all together bright and vibrant because of the blueberries. Then finished with a delightful lemony sweet glaze, really delicious. In a mixing bowl, combine yeast and warm milk and let the mixture stand for 5 minutes, or so until it is foamy. Add the eggs, butter, sugar, salt and eggs. Stir everything with a wooden spoon. Add the flour, one cup at a time, stirring well. As you stir, the dough will start to cling together until everything gathers in the center of the bowl. Turn it over on a floured board and knead until the dough is smooth and elastic. Shape it into a ball and place it in a bowl, covered. Let it rise for an hour and a half or until the size is doubled. Need help with kneading? Check out my How to Knead Bread Dough with Video Post. 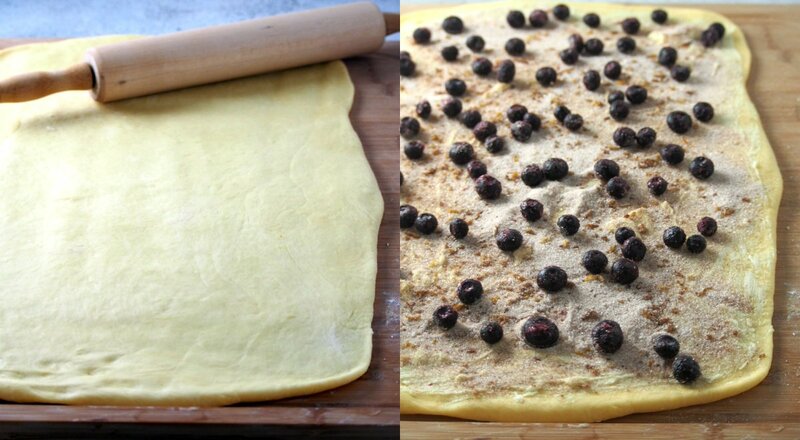 Gently punch the dough down and roll it into a 12×18 inches rectangle. Spread softened butter all over the dough. Sprinkle the sugar, cinnamon, and zest over the butter. Then arrange the blueberries in a single layer on top. We need frozen blueberries and they should not be thawed. Roll the dough, starting on the short edge, into a tight log. Then cut the log into 1 inch thick portions using a serrated knife. Arrange the pieces on two greased 9 inch round baking pans, or pie pans, or a 9×13 inch baking dish. Cover them loosely with a clean kitchen towel, and let them rise once again for about an hour or until the size is doubled. 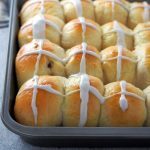 Once they have risen, preheat oven to 350 F. Bake the rolls at 350 F for 18-22 minutes, or until the rolls are lightly golden. 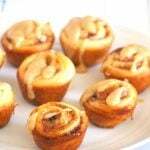 Prepare the lemon cream cheese glaze and pour over the rolls while they are still slightly warm. 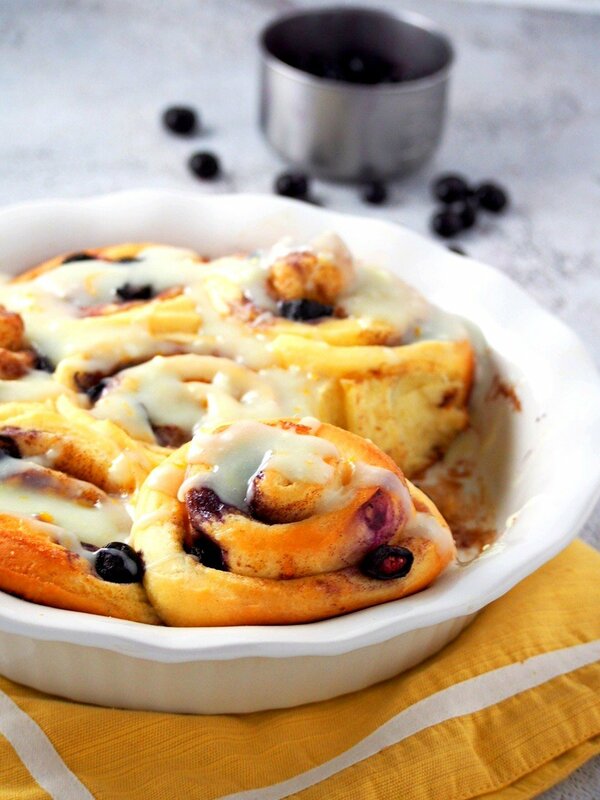 And here you go, Blueberry Cinnamon rolls to sweeten your day, Valentine’s day or not. Make them any day because, well, you deserve them any day of the year. Happy Valentine’s Day peeps, know that I love writing and baking and talking like this to you. I appreciate you all! 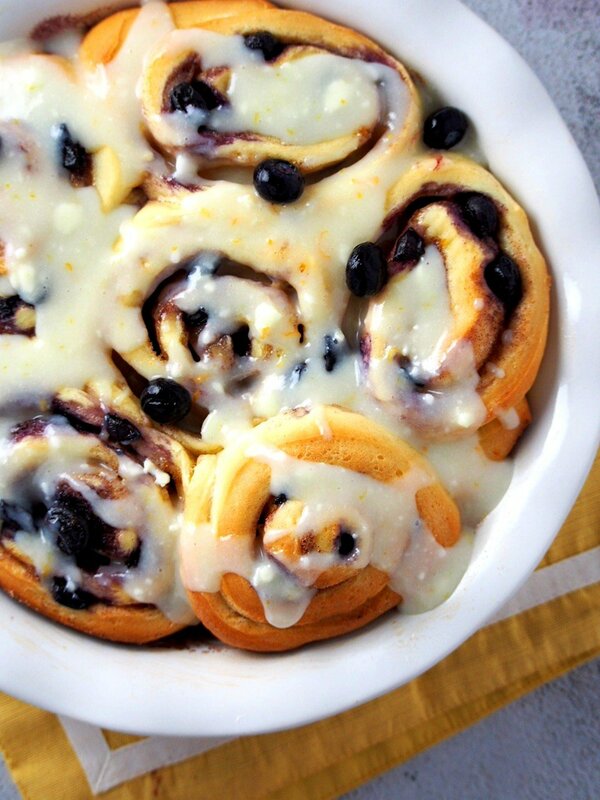 These Blueberry Cinnamon Rolls are sweet, citrusy and warm all at the same time. You will love the amazing flavor in each bite! In a mixing bowl, combine yeast and warm milk and let the mixture stand for about 5 minutes or until foamy. Add the butter, sugar, salt, and eggs. Stir everything well using a wooden spoon. Add the flour, one cup at a time, stirring well. Once the dough gathers in the center of the bowl, turn it over on a lightly floured board. Knead the dough until it is smooth. elastic and has lost a lot of its stickiness. 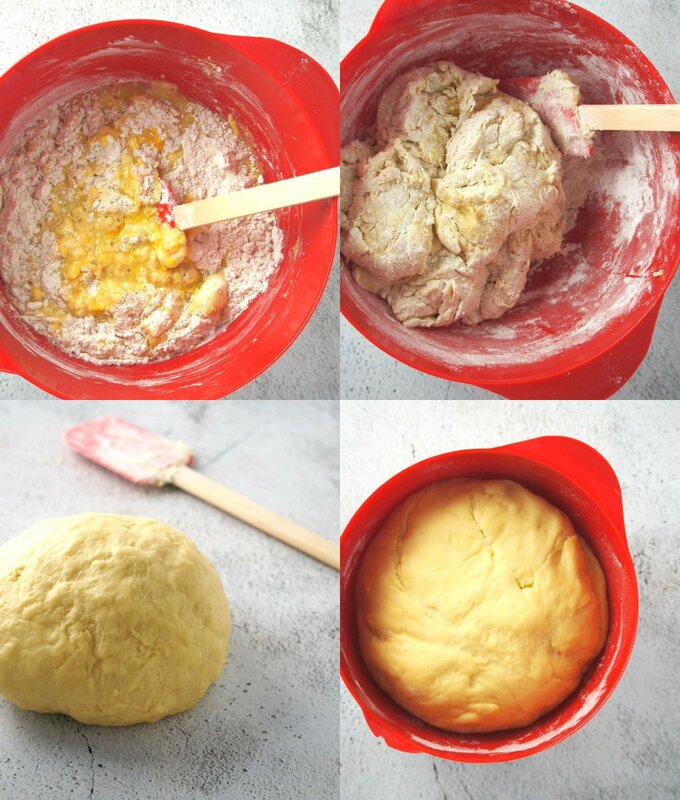 Shape the dough into a ball, place it in a bowl and cover with a clean kitchen towel or plastic wrap. Let it rise for 1 and 1/2 hours, or until the size is doubled. After the rise, gently punch the dough down. Roll it into a 12 x 18 inches rectangle. To fill the dough, spread the softened butter across the rectangle. 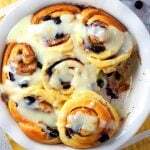 Combine sugar, cinnamon and lemon zest and sprinkle mixture all over the dough. 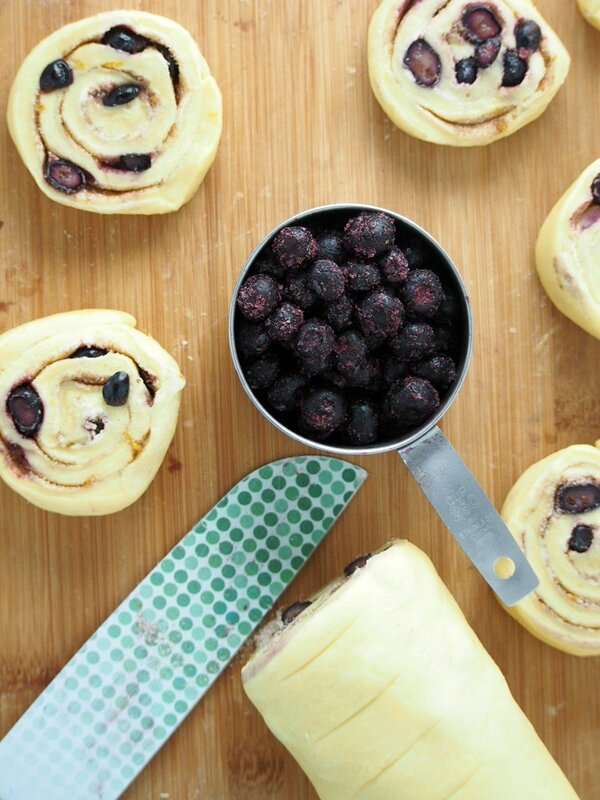 Arrange the blueberries in a single layer on top. Roll the rectangle, starting on the short edge until you form a tight log. Cut the log into 1 inch thick portions and arrange them on two greased 9 inch round baking pans, pie pans, or a 9x13 baking dish. Cover them loosely with a plastic wrap or kitchen towel and let rise for 1 hour. 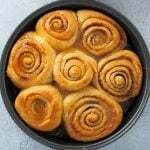 Preheat oven to 350 F. Bake the rolls for 18- 22 minutes, or until the tops are golden. 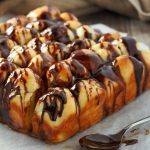 To make the glaze, microwave softened cream cheese and powdered sugar in a heat-proof bowl, covered with plastic wrap for 45 seconds to 1 minute. Stir together until smooth. Stir in lemon juice, zest and milk until mixture is thick, smooth but pourable. You may add more milk if it is too thick. Pour glaze over the buns.